The bond between a mother and her child is powerful and outlasts even death. 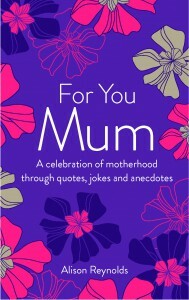 This anthology captures the moments of love, occasional frustration and humour that exist between a mother and her children. It also answers the questions of how to feng shui your house against your mother-in-law; is a mother or father faster at changing a nappy; and is it possible to establish a grown-up relationship with your mother. Book Week celebrations begin this Saturday!